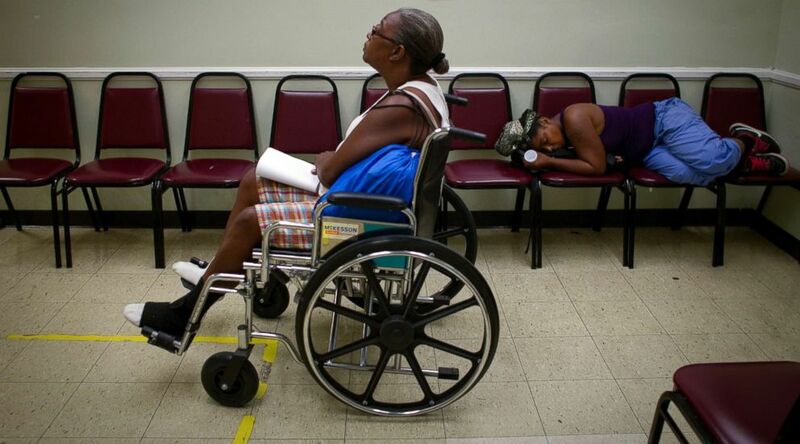 Diabetes is one of the most common, chronic conditions in the U.S. — the seventh leading cause of death and the top leading cause of kidney failure, lower limb amputation and adult-onset blindness. 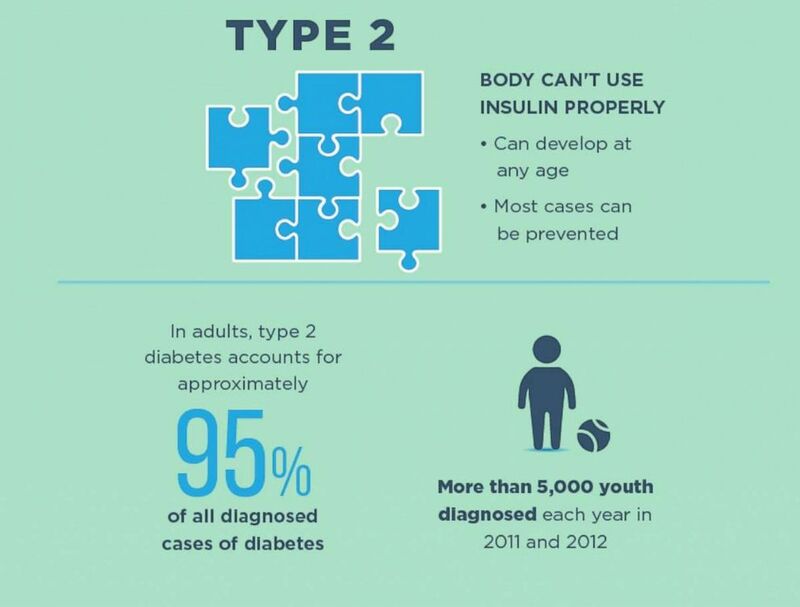 Almost 30.3 million Americans suffer from diabetes and of those, 1.25 million have type 1 diabetes (T1DM). The Egyptians discovered symptoms of diabetes in 1552 and life-saving insulin has been around in syringe form since 1949. 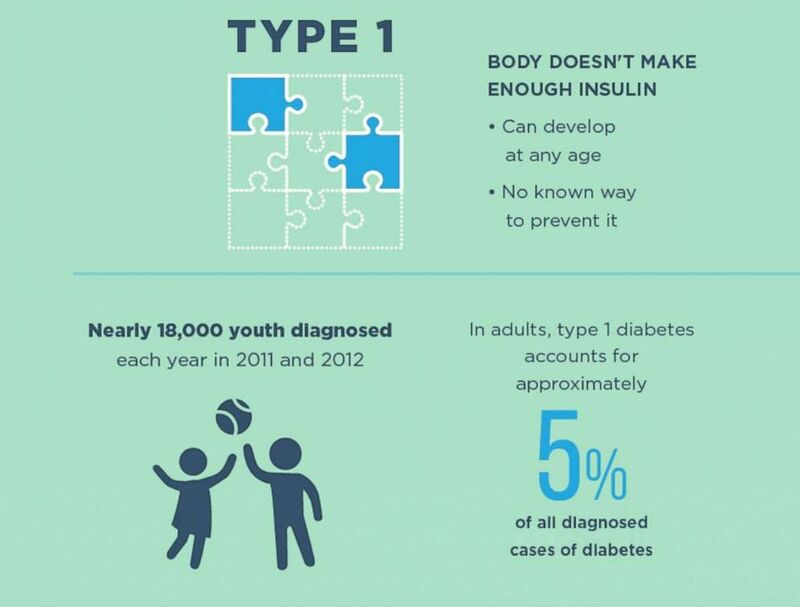 Type 1 diabetes is an autoimmune condition, where the body’s immune system destroys the beta cells of the pancreas, so it can’t make any insulin to help process sugar and carbohydrates. In type 2 diabetes (T2DM), either the pancreas is not making enough insulin, or the body has become resistant and needs more insulin to process sugar. Both types are still difficult disorders to control physically as well as emotionally. There are some medications and exercise and diet changes can help reverse the symptoms of Type 2 diabetes, but there is no cure for Type 1 which is very cumbersome to control. 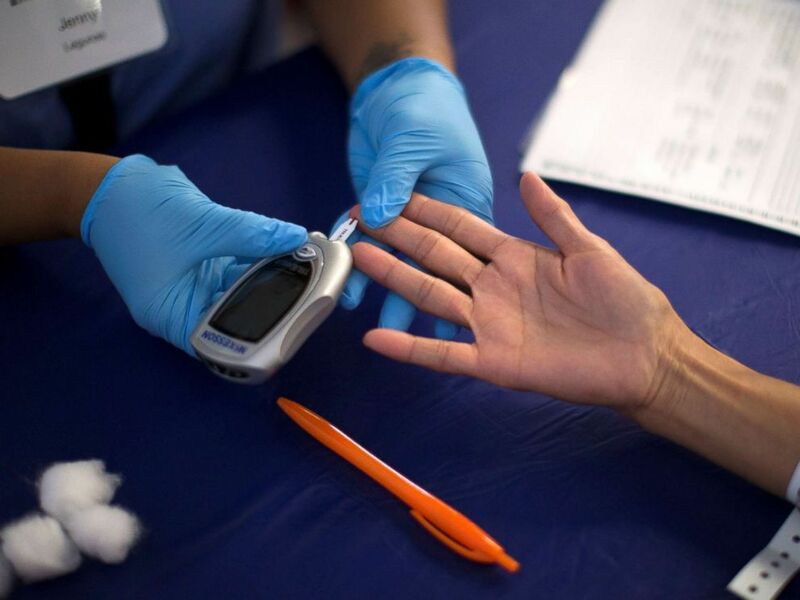 Yet in the past decades, there has been a rapid acceleration of new research and technology to help to make the lives of people with diabetes easier to manage. An insulin pump regulates a patient’s blood sugar levels. Patients with type 1 or type 2 insulin-dependent diabetes need the medication insulin to regulate their blood sugar. It can only be administered through the skin, and needs to be delivered into the body throughout the day. This can mean an average of four to six injections a day in the thigh or abdomen, which can be time-consuming and painful to manage in busy, everyday life. But, insulin pumps are devices that can help provide continuous insulin without requiring multiple injections throughout the day. There are two types that both work in similar ways; One is a pod that contains the insulin, and the mechanism that delivers the insulin into the skin through sharp plastic tube that the user inserts. It connects wirelessly to a controller half the size of an iPhone. The second option is a small controller device that looks like an old-timey beeper that can clip on to clothing, connected with tubing to a thin plastic tube under the skin that the user inserts. They both provide a constant rate of insulin — called a basel rate — over 24 hours, to keep blood sugars in range when a person is not eating or overnight. When patients eat, they can enter into the pump how much they’re going to eat, what their blood sugar level is, and administer additional insulin to cover the meal. Patients tell us they feel like they’ve been cured. Newer insulin pump algorithms can even calculate when the blood sugar is trending lower, and automatically reduce the amount of delivered basal insulin. Using an insulin pump takes training. A person needs to check their finger stick glucose frequently, input any carbohydrates they are going to eat, and learn to understand the different alerts that can pop up on the device. The pump is not permanent, and the insertion site does need to be replaced every few days. Continuous blood glucose monitors, known as CGMs, measure glucose levels as often as every five minutes. The freedom from injections that an insulin pump offers is quite significant. Studies have shown that use of pumps results in improved average glucose values (called hemoglobin A1cs) over 3 months, as well as fewer episodes of dangerous hypoglycemia, or low blood sugar. People can decide when they want to eat, and how much they want to eat, with tighter control of how much insulin they administer to themselves. 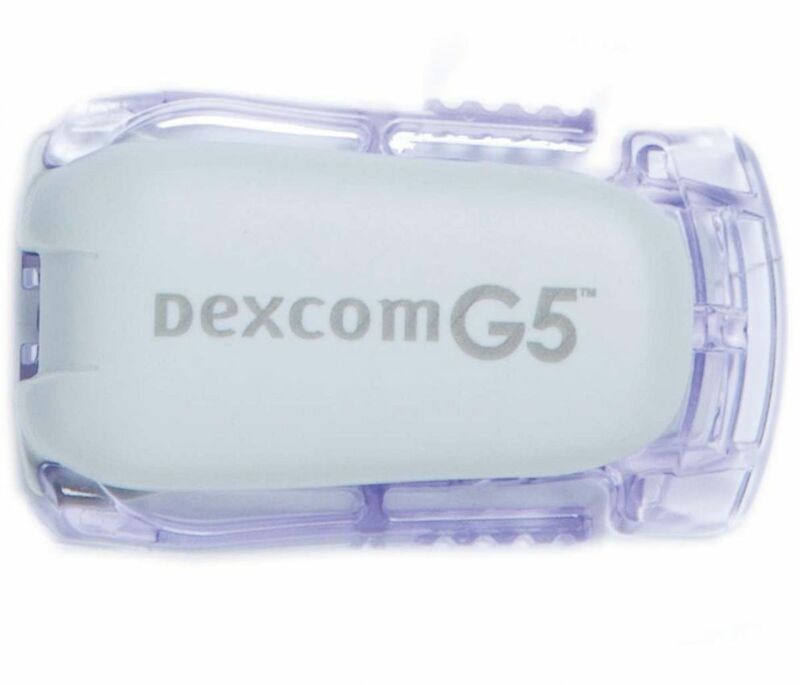 Dexcom’s G5 CGM provides real-time glucose readings for patients with type 1 or type 2 diabetes every five minutes. The other half of current diabetes technology focuses on monitoring blood sugars. Normally, a person would prick their finger and use a machine called a glucometer to measure the blood sugar. For someone with T1DM, this could mean pricking themselves between 4 and 20 times a day — including before each meal and before bedtime. Most people check more frequently: before snacks, after they eat, when they feel their blood sugar is off, and sometimes in the middle of the night. Not only is this painful and disruptive, but finger sticks generally only provide a snapshot of glucose at a specific point in time. They do not provide glucose level trends (falling lower, climbing higher, or staying stable), or an accurate representation of how much time someone spends in a normal glucose range. Enter continuous blood glucose monitors, CGMs for short. These are devices, first created in 2006, that can be attached to the body with a small sensor under the skin to measure glucose levels as frequently as every 5 minutes, 24 hours a day, for up to 10 days (depending on the device). For patients having the hardest time with T1DM, and who have become extremely debilitated by glycemic lability and frequent, severe hypoglycemia, this therapy has been life-changing and really transformative. To hear … what they’ve been able to accomplish in their lives, from what they never thought they could do before, has been the most incredible part of this. Some can notify the wearer if their glucose level is too high or too low, or even if it’s heading in that direction, allowing them more control over their diabetes management. Many devices connect to smartphones, and can be shared with loved ones, so that they can help keep an eye out of dangerous glucose situations. The CGM sensor needs to be replaced every few days. There’s another option called a flash glucose monitor that can be worn for up to 14 days, and provide a glucose reading when the wearer scans over it. It doesn’t provide a constant stream of data, which can more desirable and less stressful. This technology can all but eliminate the need for finger sticks, but it doesn’t provide a constant stream of data. The amount of information a user desires is a personal choice, some find less data to be more desirable and less stressful where others want the constant readings of a CGM. What about the “artificial pancreas”? People suffering from T1DM have a pancreas that has completely stopped making insulin. A potential solution may be an artificial pancreas. This promising technology would take the need for carb-counting, finger-sticking and manual entry of data out of the hands of the user — the device could do all of that. 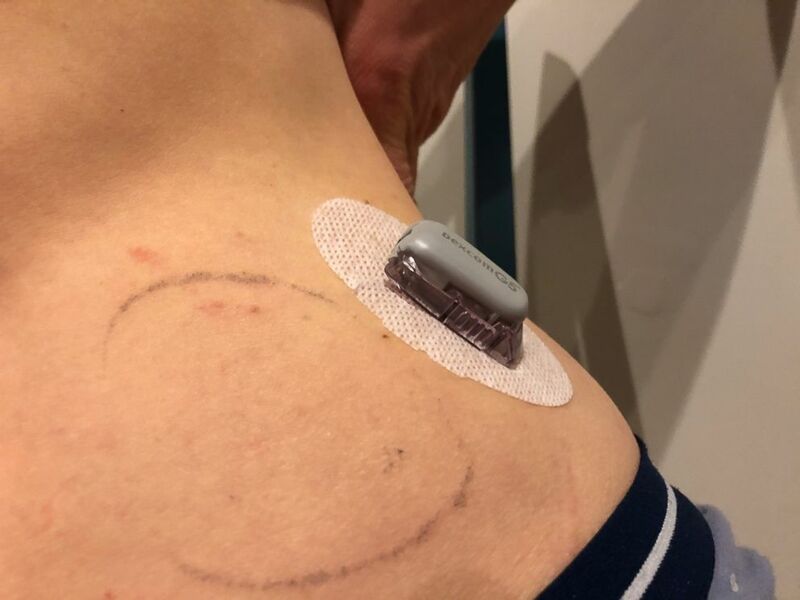 Certain insulin pumps can communicate wirelessly with CGMs, and even have an algorithm that automatically adjusts the basal insulin rate depending on the trend of glucose from the CGM. We are still not yet at the point of completely worry free, hands-off T1DM management, at least for now. These “hybrid closed-loop” systems still require user input for when and what they are going to eat, and do not have glucagon, which is a hormone made in the pancreas that helps to raise blood sugar if needed. A Boston medical technology company called Beta Bionics is conducting research devoted to developing “the world’s first fully autonomous bionic pancreas”, according to a press release from earlier this year. The firm has created the iLet Bionic Pancreas System, which is a “dual-chamber, autonomous, infusion pump that mimics a biological pancreas”, including both insulin and glucagon, and communicates with a CGM. Utilizing a machine-learning algorithm, the system will autonomously calculate and dose insulin and/or glucagon as needed, without requiring blousing or input from the user. This summer, they received Food and Drug Administration (FDA) approval to begin clinical testing in a home setting of adults and children with T1DM. The company aims to finalize the design in 2019, and potentially launch their first product in 2020. Can I get a new pancreas? Technology is not for everyone, and sometimes people wonder if it would be easier to just get a new pancreas. Not everyone can qualify for a pancreas transplant: currently it is only considered in people with serious complications of diabetes, such as end stage renal disease, or frequent severe low or high blood sugars. A full pancreas transplant is often done along with a kidney transplant in someone with both diabetes and end stage renal disease. It is a major abdominal surgery, and comes with the risks of such an extensive procedure. After the transplant, they will need to be on lifelong medications to suppress their immune system to avoid rejection of the new organ. Even after a successful surgery, rejection can still occur days to years after the surgery in up to 30 percent of people. The goal of transplant is to allow people with T1DM the opportunity to no longer be dependent on insulin, and decrease complications from having diabetes over their lifetime. For those who have been able to get a pancreas transplant, most were able to stay off of insulin, maintain normal glucose levels, and avoid hypoglycemia for many years. Some studies show improvement for up to 15 years! A promising, less-invasive alternative is currently being developed: islet cell transplant. Islet cell transplant is a minimally-invasive procedure that replaces specific cells of the pancreas that are destroyed by the autoimmune process in a person with T1DM. With the gradual destruction over time, “it becomes more and more difficult to control the lability in glucose levels, [which] leads to unstable glycemic control”, according to Dr Michael Rickels, the medical director for Pancreatic Islet Cell Transplantation Program at the Hospital of the University of Pennsylvania. Insulin production should turn off when it’s supposed to, and glucagon can be made by the transplanted cells to prevent low blood sugars, or hypoglycemia. The islet cells are collected from a deceased donor pancreas, purified, and delivered via a noninvasive procedure into the liver of the patient with T1DM. After a few weeks, the islet cells grow a blood supply and can start to make their own insulin and glucagon hormones. In 2004, Hospital of the University of Pennsylvania was named one of five NIH-sponsored centers to proceed with transplantation as part of an FDA registered clinical trial. From 2008 to 2012, they successfully transplanted 11 individuals with T1DM and severe, frequent hypoglycemia. Of those, seven were able to stop insulin after the first transplant, and the remaining 4 were able to stop insulin after a second transplant. More than half have remained off insulin for five or more years; the first transplant patient has been insulin-free for 10 years. One person did develop a recurrence of autoimmune diabetes, and three have required low doses of insulin, but not to the level of what they had previously required, and without hypoglycemia. 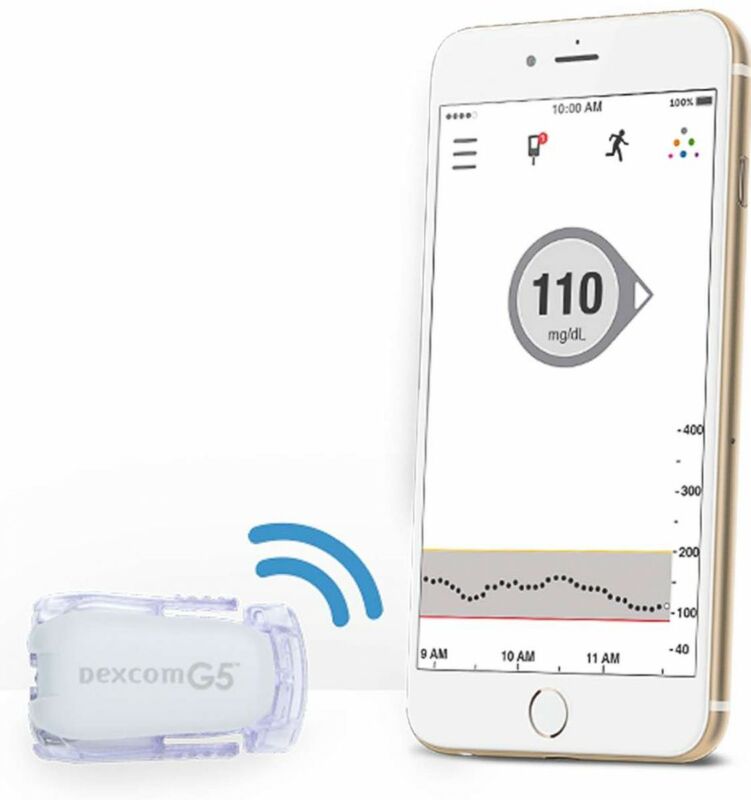 Dexcom’s G5 CGM can be monitoring using an iPhone application. After transplant, the recipient does need to be on lifelong, low dose immunosuppression to prevent both rejection of the transplanted islet cells and potential autoimmune destruction from the T1DM antibodies. Islet cell transplant has great potential for long term insulin independence, and Rickels’ team is currently pursuing the biologic licensure process with the FDA, in hopes of having this available for patients with T1DM and severe hypoglycemia. “Patients tell us they feel like they’ve been cured,” he said. Type 1 and type 2 diabetes affect millions of people, and the science and technology required to make their lives better is making incremental improvements. All medical devices and insulin requires prescriptions and since each persona with diabetes is a unique case a discussion with medical professionals is appropriate. But for those who suffer from diabetes, the potential to make their lives better and longer can’t come soon enough. Dr. Tiffany Yeh is currently an endocrinology fellow at New York-Presbyterian Weill Cornell Medical Center and a member of the ABC News Medical Unit.